January: Recipient of the British Empire Medal – Constable Trevor Lloyd Morrison. 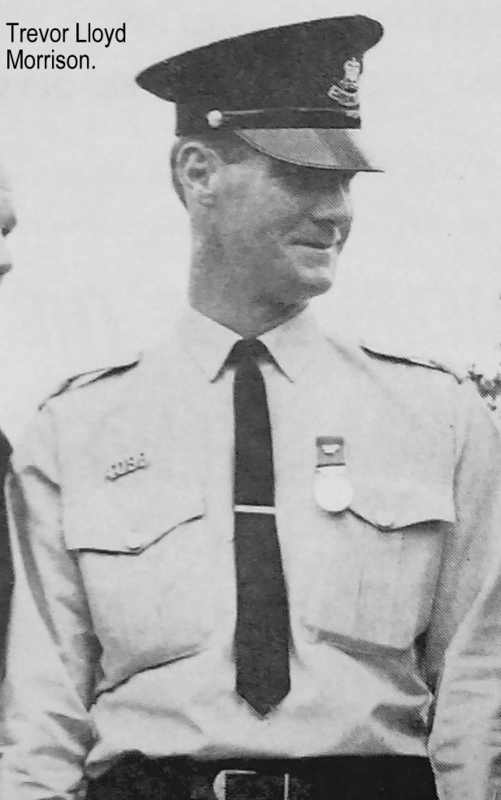 Lloyd’s medal was in recognition of his courage and fortitude displayed on the 16th September, 1966, when he and a Senior Constable Kevin. E. Cook arrested a man armed with a knife. During the violent struggle which ensued before his arrest was effected, both police were stabbed and very seriously wounded. 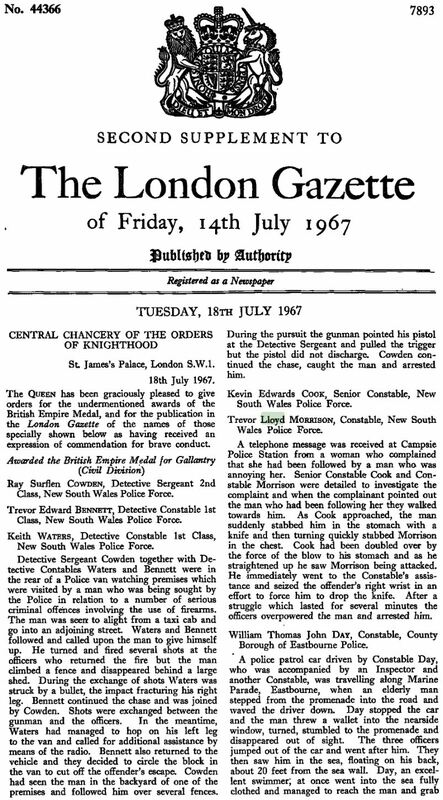 In subsequent court proceedings, the presiding Judge commended Senior Constable Cook and Constable Morrison for their courage and tenacity displayed. Annual Report of the Police Department of New South Wales for 1966. During the financial year, former Liverpool Police Officer – Sergeant T. Lloyd. Morrison is awarded the Commissioner’s Commendation. 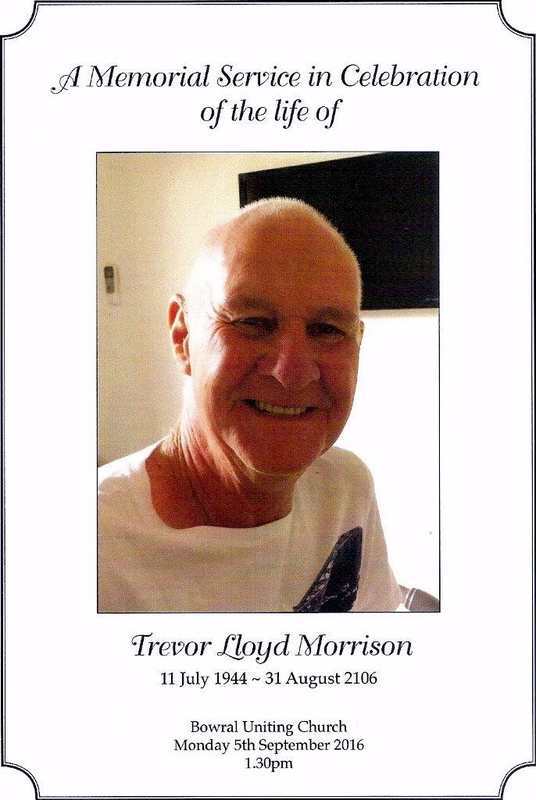 June: Former Liverpool Police Officer – (Lloyd) Trevor Lloyd Morrison was awarded the Australian Police Medal. Although he was attached to Campsie Police Station when he received the medal, he was later transferred to Liverpool Police Station where he worked on General Duties for a number of years. He later transferred to Campbelltown. NSW Police Service Annual Report 1991-1992.
information kindly supplied by Joe Ees.